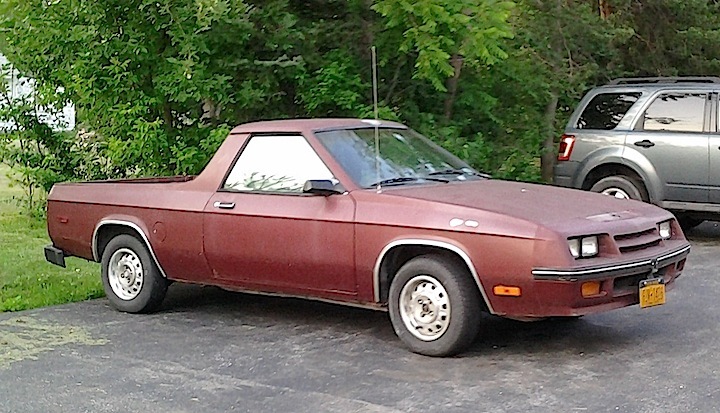 Here’s one from the “They’re Not Always Pretty” files: a 1984 Dodge Rampage. This little truck (and its Plymouth Scamp cousin) seemed like a great idea, but over a three-year production run only 37 thousand-plus were built. At the time it had competition in the form of the VW Rabbit pickup and the Subaru Brat. This example, either sprayed with primer or in the midst of a very bad paint failure, was seen over the weekend in Lancaster. — Jim Corbran, RRofWNY The post RealRides of WNY appeared first on Buffalo Cars.